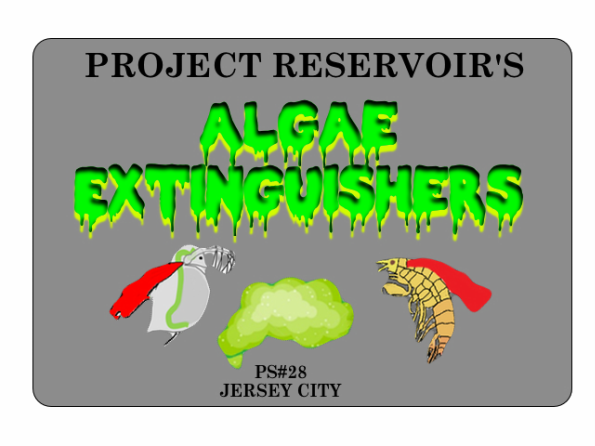 The Algae Extinguishers are a team of students that is finding a way to get rid of algae without using any chemicals in the water. The first thing we research after this team was created was a way to get rid of algae safely or naturally without the use of chemicals. We were first going crazy thinking of and trying to find out what to use, what can do the job, and etc. Then at one point we manage to find our about Daphnia and Amphipods. We individually listed facts and other things about them and all together listed their pros and cons. and finally using them as our natural method of getting rid of algae being that Daphnia clean micro algae and Amphipod clean naked eye algae , but the advantage is that they can live together and not fight. We will elaborate more on the part of our site that is mainly and dedicated to them. When we did our research all we saw were chemicals to get rid of algae it wasn't just a few; there are a lot. We found a few natural methods including collecting it and turning it to bio fuel but it didn't feel "Natural" to us like the Daphnia and Amphipods. At one point we were using Daphnias and Amphipods, and we were limited on algae therefore we had to find methods to make it due to the fact that without it, the Daphnia would die. Check out our Algae culturing page!